Stuart Kelly. La biblioteca de los libros perdidos. Barcelona, Paidós, 2007, 392 pages. Translated by Marta Pino Moreno. ISBN: 978-8449319853. 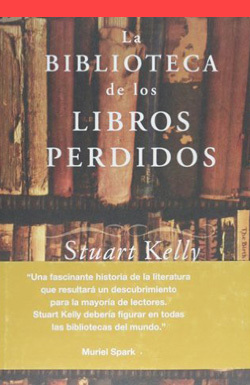 Spanish translation of the original title: Stuart Kelly. The Book of Lost Books: An Incomplete History of All the Great Books You'll Never Read. Random House, 2006. Published in Spanish by Paidós.